SPD Kroměříž is a established producer of aircraft as well as civilian technology for EU based as well as world wide customer base (e.g. Slovakia, Germany, England, USA and India). SPD Kroměříž, a.s. works closely with SEIMEX FUTURE s.r.o. 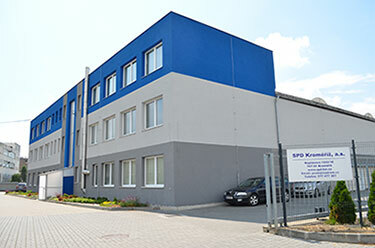 Nový Jičín and SEIMEX a.s. Nový Jičín which supply military type products for selected market. We pride ourselves on meeting our customers requirements and on time delivery of products. 1999 a spin off Aircraft technology department created - named as MAGNETON-SPD Kroměříž a.s.
2009 change of the business name from Magneton-SPD, a.s. to SPD Kroměříž, a.s.